You’re Googling “Smart Blinds Alexa” because you just installed an incredible new motorized shade system. ….and as you know they unequivocally add to the value of your property. Window treatments can literally transform your abode from a place without a personality to a showhome! The thing is, shades and blinds often have cords and pulleys that are dangerous for pets and kids. Not to mention the fact that they’re unsightly too. So you opt for a motorized system to get rid of the hassle. Hey, who has time to figure out a way to get to your skylights to open manually anyway? 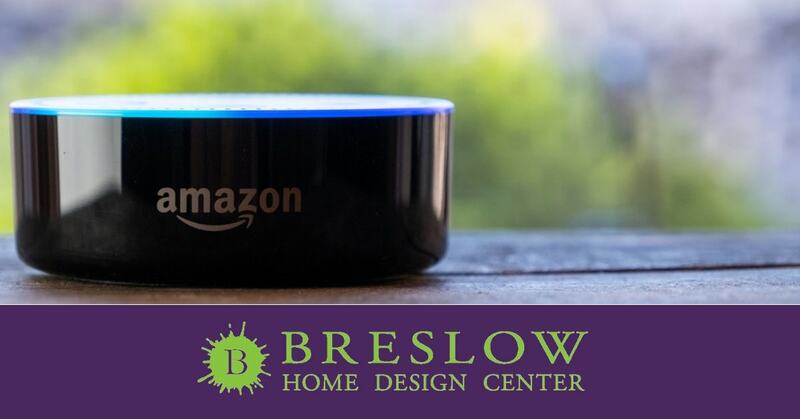 The good news is the experts at Breslow Home Design Center installed a PowerView motorized solution by Hunter Douglas and you’re happy as a clam – ALMOST! Most days you like your shades closed by 9 PM, but this weekend you’re having a party. You programmed your shade system and it works great but you want to switch things up to entertain. Is there a way to change your programming on the fly? I’m here to tell you there is! Smart Blinds Alexa – The Way of the Future! In a world where convenience sells, companies want to make your life easier to promote their products. Which means smart homes are the way of the future! This push spurs consumer technology to grow by leaps and bounds and as you can imagine this incredible market shows no sign of slowing down. It’s undeniable. People are looking for new innovative ways to reduce the time they spend on mundane activities and maximize their use of finite resources. Eventually, all homes will be automated to achieve this end. This means researchers are already developing refrigerators that keep track of your perishable items. At some point, they may even generate a shopping list for you. Gone are the days of searching for the spoiled gallon of milk that disappeared behind your new groceries. Systems are developed to monitor everything from energy consumption to toast. One of the biggest shifts thus far is voice-activated technology that enables you to operate TV, computers, and lights without accessing switches or controls. Amazon’s Alexa, Apple’s Siri and Google’s Home are radically changing the playing field. So YES, you can absolutely use this technology to operate your shade system. Let’s find out how right now. I’m sure you’ve heard people asking Alexa to answer questions on the internet! But this technology doesn’t stop there. Did you know voice operated shade systems are now commonplace!? Yes, they are and we have LOTS of very satisfied customers. Before we dig into how to integrate Alexa with your motorized shades or blinds, I’m going to tell you a little bit about PowerView. The Hunter Douglas proprietary motorized system is called PowerView. It’s typically battery operated and is designed to be both discreet and quiet. If a remote control doesn’t appeal to you, the system can also be hardwired into your home. The good news is Powerview is a relatively inexpensive motor compared to other systems. Costing approximately $250 – $500 per shade, depending on the complexity of the function. Some shade systems require only an up and down movement while others rotate as well which accounts for the price differential. To put things into perspective, Lutron or Somfy motors will set you back $700 – $1000 per shade. So you can see Hunter Douglas offers an awesome product for a very good price. Once you install the system, you can control the atmosphere of the room with the touch of a button. Now that’s sophistication! PowerView uses a Pebble Remote Control. If you want to operate your shades with another device, you’ll purchase the Powerview Hub. This system plugs into the wall, allowing you to control your shades from a smartphone or tablet. I don’t think it gets any better than this! If you’re like me and lose remote controls all the time this set up might not be appealing. In a situation like this, we would suggest you purchase the Powerview Hub. Hunter Douglas has a relationship with Alexa, which allows you to control your shade system with voice commands. This eliminates your remote control and reduces the need to reprogram your blinds or shades. The truth is, your choice of lighting is directly impacted by your lifestyle and mood and Alexa makes it quick and easy for you to change gears. To get Alexa up and running you need to create scenes for your shades. These are positions you preselect for your window coverings based on the time of day or situation. So let’s say you want full light at 9:30 in the morning. You program the positioning and time into the PowerView hub and then name the “scene”. So, for example, you may select the term “Sunrise” for this particular position. So at 9:30 AM your Hunter Douglas shades are programmed to open fully – but you need to reprogram them if you want this to change. With Alexa, this is a thing of the past. Once you integrate Alexa with your system you can say “Alexa turn on Sunrise” and voila! Your shades open fully at your command any time you choose! Life changes from day to day and connecting Alexa to your new Hunter Douglas shades gives you the ability to switch things up in a moments notice. Let’s take a look at PowerView in action…. Smart Blinds Alexa: Buyer Beware They Aren’t for Everyone! 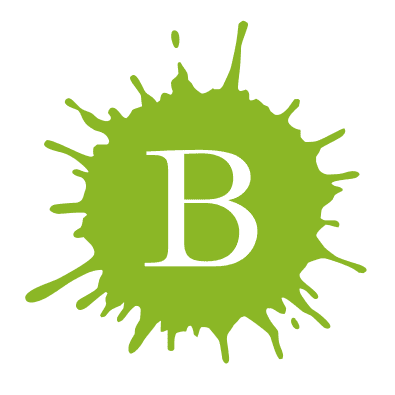 Smart blinds Alexa – a solution made in heaven! I also want to share my experience with customers and the Alexa system for full disclosure. It’s not for everyone and I like people to know that upfront. If you’re tech-adverse I would not suggest purchasing the PowerView hub to integrate smart blinds Alexa. While the system isn’t particularly complicated, some people really don’t like to hassle with computers, routers and programming scenes. The thing is, stuff happens. If the network goes out, your commands may too. Which means you have to reset your router and reprogram your scenes. If this shading system is for your Grandma, and she doesn’t know what Google is then I would steer clear. Breslow Home Design Center doors have been open since 1924. After nearly 100 years in business, we’ve learned that top-notch service, quality products and knowing the ins and outs of our merchandise is the key to success. Our experts know all the ins and outs of Hunter Douglas shades and blinds. The thing is, buying window treatments can be complicated, which means you need someone in your corner who has all the information you need to make a good choice. …AND you can maximize these savings by programming your blinds to utilize or block light depending on the season. We’re proud purveyors of PowerView motors because they are cost-conscious, design friendly and energy efficient. Technology is really changing the way we live and I’m very excited to see what else is on the horizon. If you’re looking to use Alexa with your PowerView blinds by Hunter Douglas, call Breslow Design Center today. We want to help.